Making decisions is part of any business leader’s day-to-day activities. Some of these decisions are routine while others are mission critical. However, even routine decisions need to align to the vision and culture of the organization. At Taylor English Decisions, we provide the knowledge needed for intentional decision making. Meaning, we provide the analysis and insight to the challenge at hand that allows for aligned, unique, integrated, and efficient decision making. But most importantly, the analysis and insight leads to decision making that produces winning strategies. Government Strategies: Our Government Strategies team works with companies to understand how current and future policies will impact their business. Working the legislative and executive branches of federal, state and local governments, we craft strategies that consider both the business and compliance needs of the organization. Our strategy development and execution focuses on structuring business plans that are compliant with or able to take advantage of new or updated governmental policies and regulations. This includes leveraging our relationships and expertise to modify existing or proposed legislation, policies and regulations. 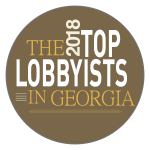 In our first year of business, we were ranked #7 on James Magazine‘s Top 10 Governmental Affairs firms associated with a law firm. Business Leadership Consulting: Our business consultants work with management to improve operating efficiencies and the flow of vital information critical to good decision-making. The crux of our service is to remove traditional departmental silos and create organization specific decision processes that align to the organization’s goals and culture to achieve its vision. Whether the focus is on economic growth of the organization or being more strategic about large budget items, the tenants are the same—decisions based on up-to-date market information, legislative and regulatory impacts, and the organization’s aspirational goals. Employee Benefits Consulting: Employee benefits is one of the largest capital expenditures made by an organization. As we work with your employee benefits team, we develop a customized, business ready roadmap that positions the health and wellness offering to advance the corporate vision. We do this by creating transparency and facilitating knowledge transfer which we believe will enhance the product offering available to your employees, while mitigating cost. By the end of the project, our clients have an employee benefits vision that addresses: costs, ROI, channel partners life-cycles, market intelligence, and transparency. Additionally, we team with our affiliate company, Taylor English Duma LLP, to provide comprehensive legal services. Taylor English is comprised of more than 150 attorneys including 40 former in-house counsels. This affiliation brings a business practicality that is full circle – business, government and legal.